LIBeerGuide Brewsletter -- Happy St. Patrick's Day! LIBeerGuide wishes you many blessings on the feast day of the patron saint of Ireland, St. Patrick. One of our favorite Irish toasts is: "May you live to be 100 -- with one extra year to repent!" March 18 -- Hampton Bays -- sponsored by the Hampton Bays Hibernians, the parade will step off at 11 am. The Grand Marshal this year is Lars Clemensen, superintendent of Hampton Bays School District. March 19 -- Patchogue -- "May the Road Rise to Meet Ye 5K" leads off the parade at 11:55 am, followed by bagpipes, floats and marching bands. Grand Marshal of this year's parade is Tom Keegan Jr., founder of the parade and co-founder of BrickHouse Brewery, Long Island's oldest brewpub founded in 1996. March 19, Glen Cove -- sponsored by the Glen Cove Hibernians, the parade kicks off at noon and the Grand Marshals of this year’s parade are two longtime Glen Cove residents, Julie Albin and her son Christopher Albin..
March 25, Rockville Centre -- the day begins with 9 am mass at St. Agnes Cathedral. The parade kicks off at noon and the Grand Marshal this year is the mayor of Malverne, Patti Ann McDonald. The Rockville Centre parade is known as "the parade that cares and shares" and raises funds every year for three non-profit organizations. This year's recipients are the Backyard Players theater group, Breathe Believe cystic fibrosis support group, and Pieta House suicide and self harm prevention group. March 26, Montauk -- sponsored by the Montauk Friends of Erin since 1962, the parade has grown to become New York State's second largest St. Pat's parade with 40,000 spectators and supporters. The day begins at 10 am with the Montauk Chamber of Commerce serving hot soup on the village green. The parade kicks off at 11:30 am and the Grand Marshal this year is Eddie Ecker Jr,, former East Hampton Town Police Chief. Tapped Enterprises will be running buses to the Montauk parade with beer from Montauk Brewing Co., snacks and other giveaways. 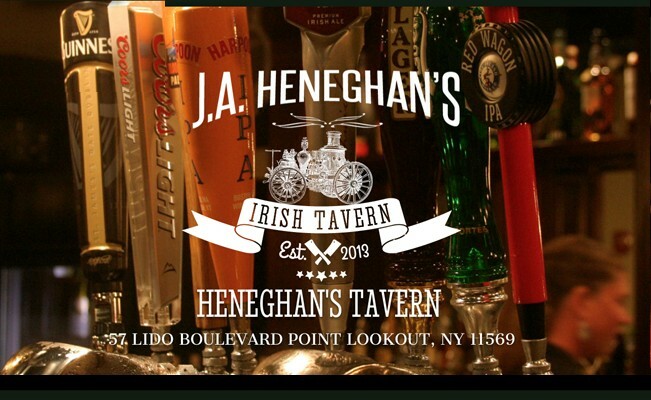 There are many fine Irish pubs and restaurants across Long Island and you can find a complete listing on LIBeerGuide.com. Most of these pubs focus on staples like shepherds pie and fish and chips. But there are Irish restaurants and gastropubs that are going beyond the staples to elevate Irish cuisine, including J.A. Heneghan's Tavern in Point Lookout (Dijon mustard-crusted pork chop with colcannon) and O'Hara's Ale House & Grill in Port Washington (corned beef sliders with pickles). 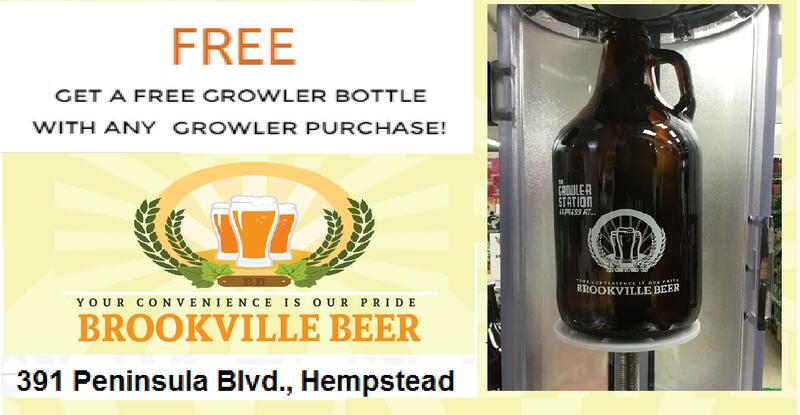 featuring one of Nassau County's best craft and imported beer selections.